Tribal communities across the Colorado Plateau face daunting problems: loss of language and culture; 50 percent unemployment rates; lasting and damaging impacts of past uranium mining; dependence on revenues from endangered power plants and coal mines, and ever-increasing impacts of global warming. To ensure that the plateau’s bio-cultural diversity survives and thrives despite these difficult changes, tribal members, communities, and governments are being challenged to simultaneously balance cultural preservation, sustainable economic development, and environmental protection. Their success in doing so will determine the vitality of the plateau over the coming decades. Climate change is already making life difficult for Plateau farmers given rising temperatures, unpredictable winds and rains, increasing non-native species, and diminished vital grasslands. 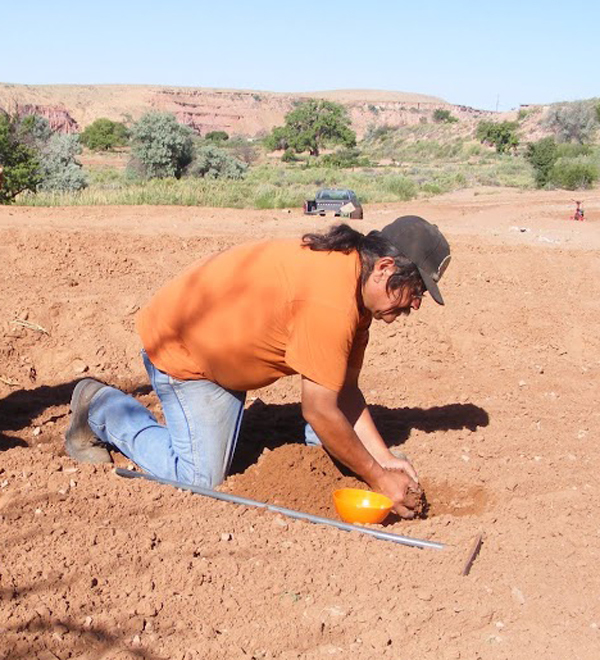 To meet this challenge, we have helped Hopi and Navajo farmers pass on their low water farming techniques, created a thriving farmers market, and restored local springs and irrigation canals. 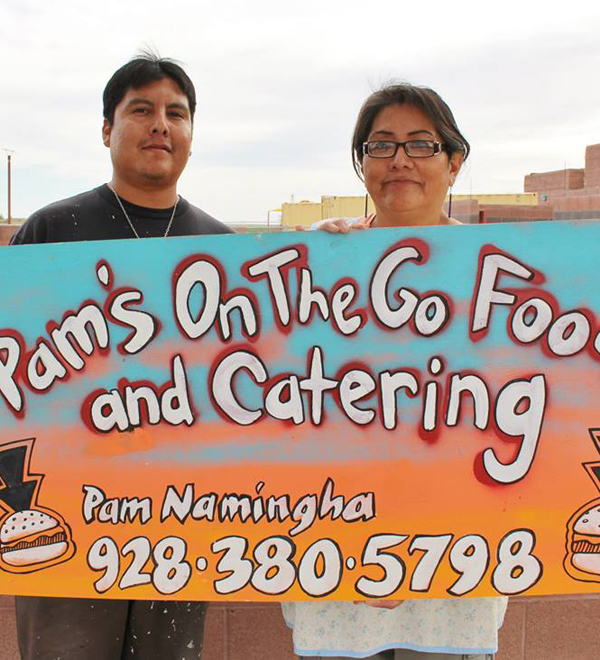 Help Native American entrepreneurs grow businesses in tribal communities! Developers want to build a controversial mega-resort that will include a tramway to the confluence of the Little Colorado and Colorado Rivers. The project has outraged local families and tribes who do not want this sacred area to be desecrated by millions of visitors. To stop the project, we support the families with advocacy, securing legal assistance, and by helping them navigate the complex tribal government processes. 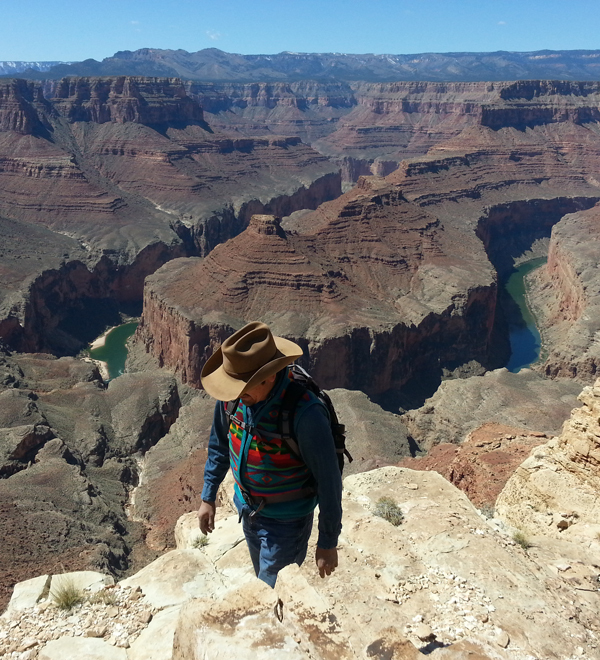 The Grand Canyon Trust supports tribal communities in their efforts to protect natural and cultural resources. Through the Intertribal Gatherings process, we bring together tribal leaders from across the plateau to discuss priorities shared between tribes, and to begin implementing conservation strategies related to those priorities. Gathering participants have so far identified four critical areas of interest: protection of sacred places; protection of sacred water; preservation of language and culture; and revitalization of health through traditional farming. For each goal, Gathering participants have created tangible, tribal-led solutions and begun to implement them. In addition, the Trust is helping tribal communities create economic development plans and projects that diversify economies, shifting dependence away from geriatric and polluting coal mines and power plants. We utilize culturally derived meeting protocols to organize elders, youth, and cultural leaders from Plateau tribal nations to jointly create and support strong community partnerships working to restore water resources, preserve ancient farming practices and food systems, rebuild healthy communities, and protect sacred cultural resources. We work with tribal communities to create innovative economic development initiatives. Recently, we have joined forces with seven Western Navajo Nation Chapters and local entities to organize economic development activities, including ecotourism, launch a jointly-owned social entrepreneurship venture, and secure investment. Sacred sites across the Colorado Plateau serve as pillars of tribal emergence stories, ceremonies, and offerings. We help the Plateau’s first peoples protect these sites, as well as places used for medicine-gathering, hunting, and cultural activities, by building capacity and creating inter-tribal partnerships to support culturally-guided conservation.